can help give you an idea on how you can help with making events for your fellow SingaporeConnect members. http://singaporeconnect.org/pages/links: Added link to the Overseas Singaporean Unit (OSU) Liaison Facebook page. http://singaporeconnect.org/pages/emergency-and-disaster-preparedness: Added brochures on fire safety and link to the registration with the Consulate-General. http://singaporeconnect.org/pages/past-events: Updated with links to all the past events. http://singaporeconnect.org/item/657286: Added Camp@Home Event by OSU (this July and Aug, registration open now). Many of you joined us to welcome Anthony Chen, the Director of the award-winning film, ILO to the Bay Area, at a special showing in March. We know some of you are keen to watch but were not able to attend that event. ILO ILO, being an "art" film, has so far been shown only at film festivals within the US, but the general US distribution is starting right now. We hope all of you who have not watched this film can make a special effort to watch it there! If you are interested in a discount, it is possible if we go there as a group. However, given the event we've had, we're unsure of the interest level. Please email with your interest in watching as a group and what dates and times you can go for. The film will probably on show for a few days, so please indicate your interest quickly. "Ilo Ilo" is a very touching story based on director Anthony Chen’s childhood memory. It registers as the first Singaporean film to win an award at Cannes film festival, after which it went on to beat out some biggest names in Chinese cinema by bagging Best Picture from Golden Horse awards. Earlier this month, Ilo Ilo opened in the U.S. with a premiere hosted by the Academy of Motion Picture Arts and Sciences (Oscars). It was selected by New York Times the week's "Critics' Pick". Los Angeles Times also covered the story behind the film with a full page feature. The publicity surrounding the film, said the 29-year-old Chen, caught the attention of the Filipino media. Chen was contacted to see if he knew where Aunt Terry was living. "We had lost contact for, like, 16 years," Chen said over the phone from his home in London. "We had no address or contact number. We couldn't remember her last name. We just could remember her first name was Teresa. I gave them two photographs and literally they looked for her using TV, radio and newspapers. Two weeks later, they found her." Since leaving the Chen's employment, she had been living and working on the family farm in Iloilo. Last July, Chen went to the rural province to reunite with Aunt Terry. "It was surreal," said Chen. "I think as a child you sort of immortalize the people around you. When you don't see someone for such a long time and you meet them again, it's just a whole mixed bag of emotions because you don't expect them to grow older. It was a lot of tears." Hope most of you are done with your taxes and have time for some events this April! Up until 2010, Dr Tan had spent 14 years in rural China with his family where he was a medical missionary training farmers in basic medical and dental care and running clinics for villagers. He has been featured in news articles around the world and received numerous awards from the Chinese government. There are two events where you can catch Dr Tan Lai Yong in person. The first has already sold out and is over-capacity, so please don't RSVP for it, there will not be standby nor any entry at the door. We have posted two new videos about SingaporeConnect and a short profile on one of our members. We hope you find them enjoyable and get encouraged to participate actively in future SingaporeConnect events. A CNY 2014 Quiz Results Summary has been posted. Our first-ever online game at an event was a great success and we thank those who participated for helping us achieve a blend of fun and keeping up-to-date with the current affairs in Singapore. We're going to up the ante for next year's event! Look out for an updated quiz, and upgraded prizes. If you're interested in helping us on it, it's never too early to start and let us know. ASVEN is the ASEAN-Silicon Valley Entrepreneurial Network that connects and empowers high-tech start-ups born in Silicon Valley and Southeast Asia, along with China, Japan and Korea. The ASVEN 2014 Forum on Feb 22nd (Saturday) is a joint-effort and brainchild of Professor Wong Poh Kam, the Director of the National University of Singapore (NUS) Entrepreneurship Center and Prof Tom Kosnik, as the lead of Global Entrepreneurial Marketing at Stanford University. Click here for more info http://asven.asia. The photos for last Saturday's Chinese New Year Celebration event have been posted on the SingaporeConnect web site. You may also view them on the SingaporeConnect Facebook group page. If you wish to print them, attendees would have received an email a few days ago with a survey then a link to a web site that supports ordering prints from the high-resolution (3000x2000 pixel) versions of them. Everyone is welcome to participate. We'll send a response with a summary of all the answers so you can see which were the more common answers to each question, which is pretty interesting so far. As for them, one of you quoted in a survey that they were, "exponentially harder as they got along", so we'll also share a little insight into how we came up with them. It looks like there's going to be another SingaporeConnect event in March, so watch your mailboxes for an announcement! SingaporeConnect's Chinese New Year Celebrations: A tradition not to be missed! SingaporeConnect's Chinese New Year celebration events have been festive and joyous occasions to usher in the New Year with friends, families, and colleagues in a sumptous setting. In 2007, SABA and SingaporeConnect jointly hosted the Year of the Pig event at the Dynasty Seafood Restaurant in Cupertino. This was a spectacular and grand event. There was a Lion Dance. A Lucky Draw. It even featured a fashion show where the models were our members, giving it a go on the catwalk! 2009's Year of the Ox Celebration of Spring event at the Merlion Restaurant in Cupertino was graced by Mr Jee See Heng, Singapore Consul General, and his family, and featured a very impressive Kung Fu demonstration from school children and Shao Lin masters. Guests were entertained by Gu-Zheng music and cheerful songs. In 2010 we roared in the Year of the Tiger at a very packed Mayflower Seafood Restaurant in Milpitas. Dignitaries included representatives from the Californian Government, and the Indonesian Consulate. In 2011, our year of the Rabbit event at the Mayflower Seafood Restaurant in Milpitas featured a tasty selection of locally-prepared Bak Kua from Singaporean-run Little Red Dot, firecrackers, martial arts demonstrations, live instrumental and vocal performances by NUSEA students, and the ever-popular tossing of the Yu Sheng! The 2012 Year of the Dragon event gave away memorable prizes including Lee Kuan Yew's latest book, for game and quiz participation, a Bingo game, and of course, the ever-popular Lion Dancers reaching new heights in the aptly named Grand Palace Restaurant at South San Francisco. In 2013, for the year of the Snake, we found a way for the Merlion to meet not one, but three Lions! The event, though a little lightly attended, had everyone well-fed with a selection of Singaporean favourites in the beautiful Merlion Restaurant. For 2014, we'll be ushering in the Year of the Horse at Ming's Restaurant in Palo Alto. SingaporeConnect strives to bring Singaporeans together. Whether at small or large events, we know that Singaporeans will gather for good food, good company, and a good cause. We are pleased to be co-hosting the event with the students at Stanford University (S@S) and UC Berkeley (SMSA) for the first time this year. The Overseas Singaporean Unit (OSU) is sponsoring the event in part for Singaporeans and PRs, making this event one of the most affordable in years. If you can make it, we'll love to see you on Feb 8, 2014. Please register now, so we can make the appropriate arrangements with the restaurant, to be able to accomodate all who wish to come. We have sold out, and turned away last-minute registrations in the past, but we really want to avoid this with your co-operation. Purchase your tickets now at http://singaporeconnect.org/item/589914 or, click on the earlier personalised invitation emails you may have received for a faster registration. If you are, or know of a graduating college student / recent graduate, who will be in Singapore next month, Contact Singapore has helped arrange a set of visits to give an exposure to the facilities and an opportunity to talk to representatives of some well-known companies. The dates are between 8 to 10 January and the registration details are below. SingaporeConnect is working with other organisations to get a Chinese New Year dinner celebration event going for next year. As you may know, the upcoming Chinese New Year is quite earlier next year than on most years, so we have to start the preparation going now, especially with reviewing and booking restaurants, which often fill up on the most desirable days. By participating with other organisations, we can assure enough attendance to book the entire restaurant. We hope to make it a festive and memorable event for all of you, including the organisers. Please contact us if you would be interested to help out with the event, whether in organising, entertaining, or sponsoring. We hope that everyone had a great semester and is excited to gear up for winter break. We at Contact Singapore are gearing up for an exciting 2014 as well! To kick the new year off we have an exclusive opportunity for students heading to Singapore during the winter break. Contact Singapore has teamed with our employer partners to bring you a unique opportunity to find out what it would be to work at some of the most in demand companies in the world. Our Experience@Singapore programme is your chance to see what opportunities are available to you in Singapore after graduation. Over the course of three days, from 8 to 10 January 2014, you will meet company representatives and hear more about working in prestigious organisations such as Pfizer, Rolls-Royce, Unilever and ExxonMobil and Keppel Offshore & Marine and more while touring their facilities. Don't miss this rare opportunity to visit these top organisations. Choose from any of the company visits listed below. You may select more than one. This opportunity is open to students in their final year of study and recent graduates and you must register online by December 13th2013. Space is limited and will be allocated on a first-come, first-serve basis, so sign up before ASAP to secure your spot. Information about registration, programme schedule and participating companies can be found at the following link :http://www.contactsingapore.sg/experiencesg/Jan2014. Please don’t let this chance slip away! If you have questions please don’t hesitate to contact Contact Singapore. Please note that Philippines is hot like Singapore, so clothes need to be light cotton wear. You may contact Ray for any questions. As Singaporeans, we expect many of you to be doing some shopping during the many attractive sales. On behalf of our fellow Southeast Asian compatriots in the Philippines, may we suggest that you take a portion of your budget towards those who have lost much after Typhoon Haiyan? The boxes will be shipped free of charge to the Phillipines, and the last day to drop items off is tomorrow, Nov 30 2013. If you have a lot of stuff, LBC will pick up your donations. http://www.crowdrise.com/ has many options on their home page. Some even do matching airline miles. The UN's hunger-fighting organisation has allocated an immediate $2 million for Haiyan relief, with a greater appeal pending as needs become apparent. The UN organisation is sending 40 metric tons of fortified biscuits in the immediate aftermath, as well as working with the government to restore emergency telecommunications in the area. Learn more here. The humanitarian and disaster relief organisation has sent emergency responders and volunteers to provide meals and relief items. Already, thousands of hot meals have been provided to survivors. Red Cross volunteers and staff also helped deliver preliminary emergency warnings and safety tips. Give by donating online or mailing a check to the local American Red Cross chapter. Learn more here. The Philippine Red Cross has mobilised its 100 local outposts to help with relief efforts. Learn more here. The emergency response and global health organisation is sending medical aid for 20,000 survivors, including antibiotics, wound care supplies and pain relievers. AmeriCares is also giving funds to local organisations to purchase supplies. Learn more here. The Christian humanitarian organisation that specifically supports families living in poverty is providing food, water and hygiene kits at the evacuation centers. World Vision was also still actively responding to last month's earthquake in Bohol, which fortunately was not struck by the eye of the storm. Learn more here. ShelterBox, an emergency relief organisation, provides families with a survival kit that includes a tent and other essential items while they are displaced or homeless. Learn more here. The Christian hunger and poverty-fighting organisation is allocating 100 percent of all disaster donations for relief efforts "to immediately meet the specific needs of disaster survivors." Text TYPHOON to 80888 to Donate $10 or give online. Learn more here. The organisation, which prioritises kids' needs, has sent relief kits for children and families, including household cleaning items, temporary school tents and learning materials. Learn more here. The international medical humanitarian organisation is sending 200 tons of medical and relief items, including vaccines, tents and hygiene kits. Learn more here. The Los Angeles-based non-profit is sending much-needed water purification supplies to victims and seeking corporate partners to help with delivery. Donate $10 by texting AID to 50555 or give online. Learn more here. The humanitarian assistance organisation, which fights global poverty in 70 different countries, is sending disaster and relief development experts to aid in recovery. The organisation is also empowering local partners in their efforts. Learn more here. The nonprofit, which galvanises first responders and veterans to help in times of crises, has sent a group of specialists to aid in search-and rescue, medical triage and medical relief. A second team will be deployed Nov. 12 to create a supply chain for field work. Learn more here. The organisation, which specializes in humanitarian crises, is sending a relief team to help provide water and sanitation systems. Learn more here. The international poverty-fighting non-profit, which provides sustainable global food and water solutions, is distributing drinking water, buckets, soap and chlorine tablets. It's also providing sanitation equipment to help prevent waterborne diseases. Learn more here. Given this event is in the South Bay Area, Mountain View, it may be of interest to you to meet perhaps a few Singaporeans, and probably many Portuguese and their international friends. Historically, the event has been well attended by members of the SCNC. Plus, of course, have some good crab. Families welcome. This is no ordinary crab feast. Our jumbo crabs contain plenty of tasty meat so you won't have to dig around in a ton of shells. And our awesome "cioppino" sauce has developed a following all of its own, becoming even more popular than the crab itself. As a matter of fact it is so good that folks make good use of our savory garlic bread to sop up every drop of sauce on their plates! Costs: $50 per adult (12 and up), $25 per child (ages 6 to 12) and free for children less than 6. Click here to register for this event with a NUS graduate. A data network allows computers to exchange data and deliver information to your consumers. Network congestion occurs when a link or node is carrying so much data that its quality of service deteriorates. In the world when 2.5 quintillion (2.5 x 10^18) bytes of data is created every day, according to IBM, how do we optimize the data traffic? How do we protect against malicious activities? Please join us on November 5th to hear from CEOs and technologists in the Software-Defined Networking and Content-Delivery Networking space and learn how they tackle the network traffic challenges. Matthew Prince (Cofounder, CEO) wrote his first computer program when he was 7, and hasn’t been able to shake the bug since. After attending the University of Chicago Law School, he worked as an attorney for one day before jumping at the opportunity to be a founding member of a tech startup. He hasn’t looked back. 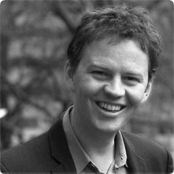 CloudFlare is Matthew’s third entrepreneurial venture. On the side, Matthew teaches Internet law as an adjunct professor, is a certified ski instructor, and a regular attendee of the Sundance Film Festival. Steve Mullaney (SVP and General Manager, VMware Network and Security Business Unit) has over 25 years of marketing, product management, and engineering experience in network infrastructure and security. 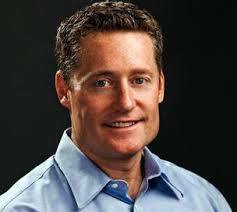 Prior to VMware Steve was the founding CEO of Nicira and has held executive positions at Palo Alto Networks, Blue Coat, Force10, Cisco, Growth Networks, ShoreTel, Bay Networks and SynOptics. Before SynOptics, he was a design engineer at GTE Government Systems. Steve holds a BSEE from University of Rhode Island. Deepak Jeevan Kumar (Partners @ General Catalyst) focuses on investments in cloud computing, big data, data center infrastructure and clean energy. He has been with General Catalyst Partners since 2010, first in Boston and later in the firm’s Palo Alto office and has been closely involved in our investments in DataGravity, Virtual Instruments and Sunglass. 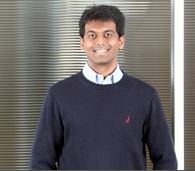 Prior to joining GC, Deepak worked at Sun Microsystems and was an intern at the Yale Investments Office. At Sun, he was involved in designing a few top 10 supercomputers in the industry and led the high performance computing architecture practice in the Asia-Pacific region. Deepak is a graduate of the National University of Singapore, earning a B.Eng. in Computer Engineering; the Singapore-MIT Alliance, earning a S.M. in Computer Science; and the Yale School of Management, earning an M.B.A.
National Day Celebrations: Thank you! Thank you to all, especially those who participated at our two 48th Singapore National Day Celebratory events. On Aug 18, we held a potluck that included a novel ping-pong-ball-and-spoon-in-the-mouth game. On Sep 14, we had a booth with a quiz about Singapore, multimedia tablets, and a chapteh court. Food abounded, including delicious Kueh and Kacang Puteh from Lali. For those who didn't know, the Kacang Puteh was meant to be a prize for the chapteh game or answering the quiz questions correctly ... we debated whether to "fine" the fascinating few who darted in and out apparently just to sneak out a cone without asking, but figured, wow, that's what makes it feel like Singapore sometimes! Thanks to the many volunteers who helped with idea-generation and creation, setup, booth-manning, photo-taking, and clean-up and more. Thanks to those of you who respected the MCs and the speakers at the podium with your quiet attention. We look forward to seeing all of you at future events. They depend on your support, whether in showing up, volunteering your time, ideas, food, or any kind of effort, to see them through.